Top 20 Things to do in Texas this Season and be Glad you Did. Things to do in Texas this Season… it’s the holiday season here again. It’s time to make the most of it and Texas might just be the right place for you and your family and friends if you haven’t considered one of the most history states in the U.S.
More than most people realize, there’s more to Texas than the cowboys and big industries. There’s fun to be had for everyone regardless of your personality, mood and desires. The Alamo’s allure is because of its historic relevance to the U.S. It was the site of a fierce battle for independence between forces loyal to Mexico and the United States grappling for the control of Texas. 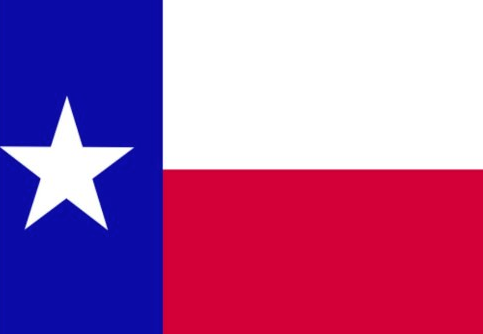 The battle took place in 1836 where 200 American men fought to defend Texas. Though they lost, they stalled enough for the federal forces to capture Texas eventually. This surely one place you would want to visit while in Texas. The San Antonio Riverwalk is reputed as arguably Texas’ most visited place till date. With the influx of tourists, the Riverwalk has incorporated events such as parades, music festivals, food festivals, drink festivals, art exhibitions and the yearly December festival called Ford Fiesta de las Luminaries. The San Antonio Riverwalk is, with all of the activities, open every day of the year. The Riverwalk is about 2.5 miles of walkway which banks the San Anthonio River. Texas State Capitol contains the Capitol Building, the Visitors’ Centre, and also the Governor’s Mansion. It is unique because there’s more to it than just being the legislative center of Texas. It is just a few metres away from the Bullock Museum which exhibit’s Texas’ history and culture. Not just as a museum, there’s also an IMAX theatre, a gift store and a café which are each located on each of the three floors of the Bullocks Museum. Fort Worth Zoo is Texas’ oldest zoo till date and it is placed top 10 best zoos in the USA by most travel guides and reviews. There are an incredible 542 animal species in Fort Worth Zoo ranging from birds to mammals to reptile. Enjoy seeing the animals at their most relaxed states with side attractions such as the petting zoo, the splash park and zoo train amongst others. Fort Worth Zoo is open at all days of the year and it is especially focused on wildlife conservation, animal protection and education, hosting summer camps for kids and educating children and visitors alike. The Cockrell Butterfly Center is a subdivision of the Houston Museum of Natural Science where you can be at one with nature. Enjoy the enthralling beauty of nature such is butterflies, insects and other creeping plants. It is basically a rainforest environment, albeit a simulated one. 6. THE SIXTH FLOOR MUSEUM AT DEALEY PLAZA. The Six Floor Museum is especially famous because it is the location (which was a School Book Depository) where Lee Oswald stood from to assassinate John Fitzgerald Kennedy in 1965. Contained in the museum are artifacts and exhits depicting the life of JFK, his story from birth to assassination and the legacy he left behind. The museum is located on the sixth floor of the building and on the seventh floor just above it is a gift store for memorabilia and even a café. 7. DALLAS ARBORETUM AND BOTANICAL GARDEN. Be at one with nature here and learn while at it! People who visit Sea Turtle Inc would be treated to informative lectures , regaled with turles swimming in their groups in water tanks. If you would be visiting in group which are above 10, do well to book for tour guide ahead of time to make space for you. Mission San Jose doubles as Texas and the U.S historic park for many reasons. It was a social and cultural center of importance and it still maintains its reputation as such even today. There’s so much to explore while at Mission San Jose ranging from the convent to the church to the granary, and the exact walls which were used to built the park. Love classical music? This where you should be in Texas to be regaled with the best of them. The McDonald Observatory goal is aimed at the pursuit of education, space research and astronomy but presented in ways which are fun to everyone and to stimulate interest especially in young persons to take interest in astronomy and consequently, space research. 12. NATIONAL MUSEUM OF THE PACIFIC WAR. 13. SAN ANTONIO BOTANICAL GARDEN. San Antonio Botanical Garden’s goal is to show the variety of species in the plant kingdom and how plants play major roles in our lives in many ways s.
If you book in advance, there are options for tour guides to aid and brighten your visit to make it even more memorable. 14. NATIONAL MUSEUM OF THE PACIFIC WAR. National Museum of the Pacific War is located on a 6-acre large building with interesting exhibitions such as the Memory Courtyard, the George H.W. Bush Gallery and the Japanese Garden of Peace. On display all over the museum are war weaponry relics especially used in the Pacific War. It was renamed after being established in 1967 to commemorate the story of about 8 million Americans who fought against Japan in WWII as soldiers. The Japanese Tea Garden is a plant haven for nature lovers. The oriental culture of the Japanese are replicated here and you would almost feel like you were in Japan here! There are several cafes to serve visitors with cuisines especially American and Japanese ones for sale just for your taste buds! The Dallas World Aquarium is perfect for not just lovers of the sea world but of nature too. You can not just the fishes and reptiles but the birds and countless animals there. If you are hungry, do not worry as there are several cafés and restaurants to fill you up around. 17. FORT DAVIS NATIONAL HISTORIC SITE. The Fort Davis National Historic Site is the location of the Antonio-El Paso road which raiders used to frequent in the past disturbing persons crossing from and into the U.S until it was created in 1854. 18. NATIONAL MUSEUM OF THE PACIFIC WAR. 20. HOUSTON MUSEUM OF NATURAL SCIENCE. 20 Top Companies With Online Donation Requests in 2019.